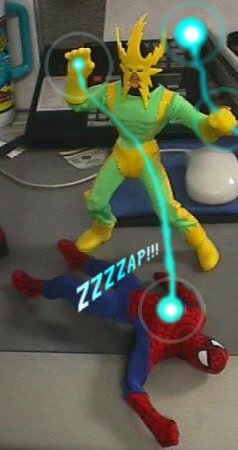 Electro battles The Amazing Spider-Man on a construction platform! 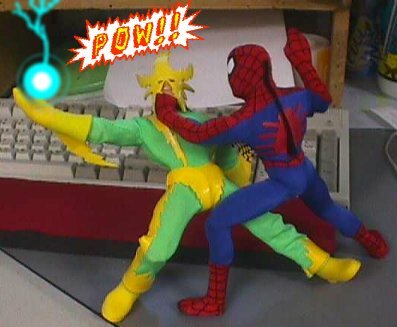 Later, at the "Honey I Shrunk the Superheroes" theme park, Electro seems to have the web-slinger on the ropes! 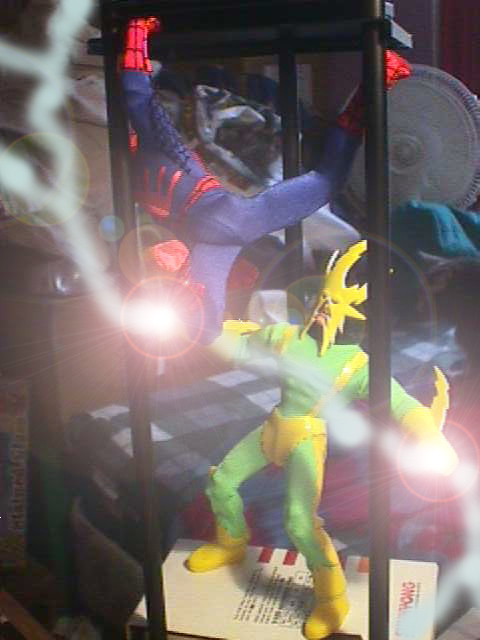 But, as always, Spidey prevails!